This was a fun little Easter egg I found in my Office 365 portal today. I always think that one of the purposes of this type of attack is to show – or to galvanize – the moral bankruptcy of the regime and the society. To show that when it is provoked it will lash out with cruel, disproportionate, insane violence; to show that it is not a legitimate or safe place for marginalized groups by provoking violence on the bodies of the marginalized. If we lived in a better world, or even in Norway, people would respond by refusing to lash out, by acting with magnanimity and greatness. But all that ever happens is that we see that both the terrorists and the regime are violent and morally bankrupt. It’s an epistemological crime, it’s intended to produce despair. Mass killings like this are the non-stae mirror of the prison camp, because they’re intended to break down people’s ordinary humanity. I went to Yellowstone back in September with a group of friends, and it was amazing. Hiked and camped the entire time, with the highlight for me being the 3-day backcountry hike into pure wilderness, and a campsite that was like a little slice of heaven – utterly silent except for the babbling from the two creeks surrounding the site. 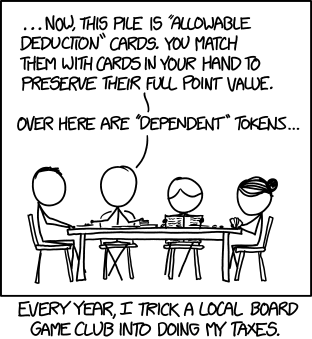 This xkcd is spot-on – I’ve long believed that some of my more munchkiny gaming friends would make terrific tax-prep accountants, in the way they can exploit game mechanics to maximize benefit. I guess this is what you get when you say ridiculous, racist things on TV – you get beaten with sticks in effigy. Viva Mexico! Since Sept. 11, 2001, nearly twice as many people in the United States have been killed by white supremacists, antigovernment fanatics and other non-Muslim extremists than by radical Muslims, according to a new tally. This is a really interesting Kickstarter project – build your own electronics with modular components. Something like Modulo might have kept Radio Shack in business. This is a fascinating account of a family who were way down the alternative medicine rabbit-hole to try to treat their children who were diagnosed with autism. That the Laidlers are doctors is somewhat surprising, but that Jim Laidler also has a PhD in Biology and stumped for chelation for years is even more surprising. 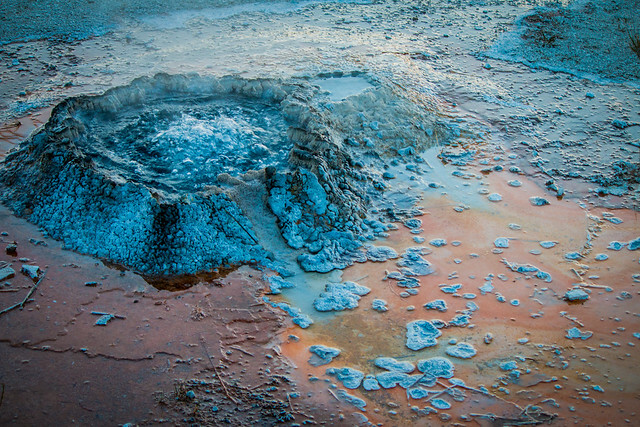 Using substances known as chelating agents, the Laidlers also worked to rid Ben and David of heavy metals thought to be accumulated through vaccines and environmental pollutants. With a PhD in biology as well as his MD, Jim Laidler had become an expert on chelation, speaking nationally and internationally about it at conferences dedicated to autism and alternative approaches.